Don’t miss the Jewish Museum in London’s first crowd-sourced exhibition featuring everyday objects, historic artefacts, and works of art inspired by love. It was organised with the Cultural Institute at King’s College London, whose Aaron Rosen, a lecturer in sacred traditions and the arts, was behind the idea. Members of the public have submitted their own objects related to the theme of love, with intimate, surprising and moving testimonies of what these objects mean to them. A selection of over 30 objects will be displayed in the Jewish Museum’s Welcome Gallery alongside treasures from their Judaica collection. 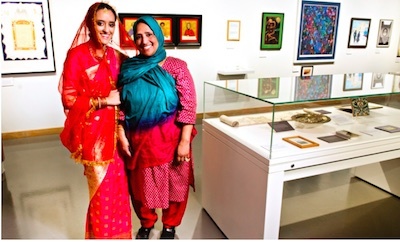 The exhibition includes objects from numerous religious and cultural traditions, including Christianity and Islam, lent by people from across the globe, from America to India. Radio interview with Aaron Rosen here.